Be sure you read the entire post. 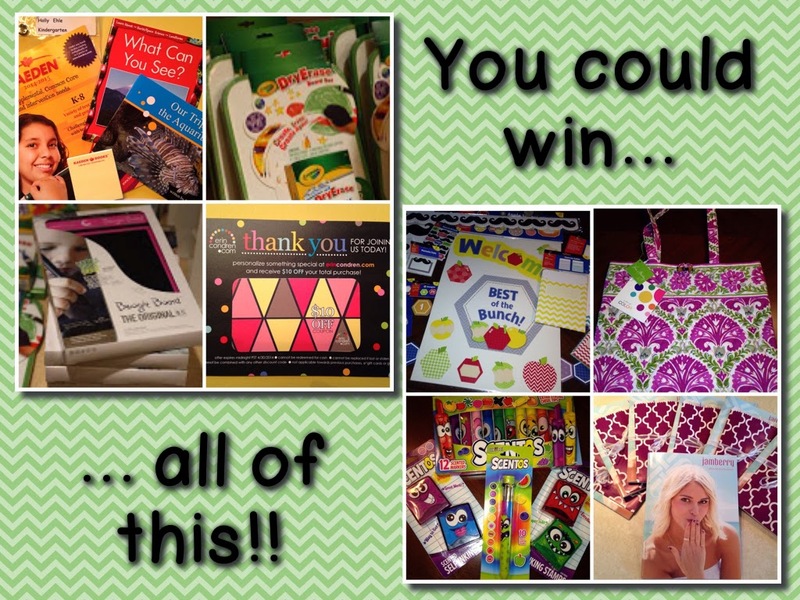 There is a massive prize at the end of this blog hop!! Good luck!! 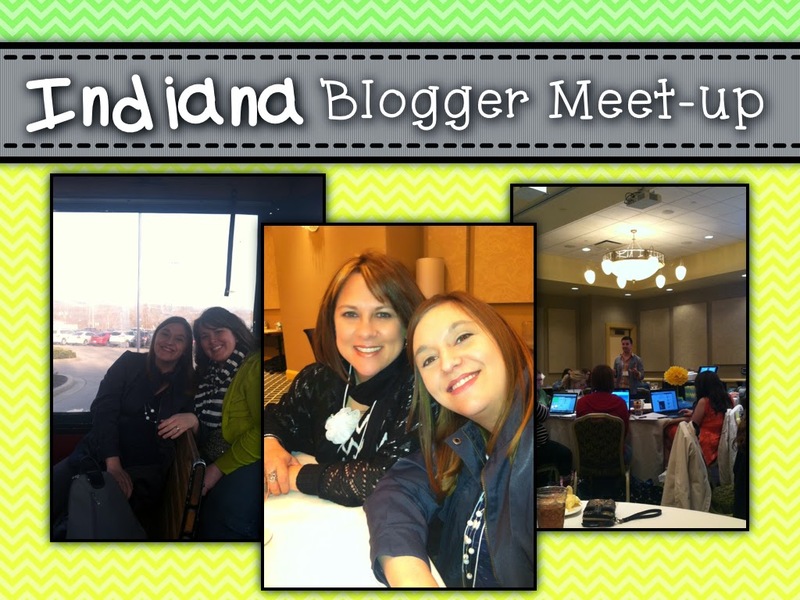 A couple weekends ago, the three of us from Primary Possibilities and a colleague from school traveled to French Lick, Indiana for the Spring Teacher Blogger Meet-Up. If you have never been to French Lick, you need to put it on your list of places to visit. There was so much to do within walking distance (or trolley) from our hotel. We stayed in the beautiful restored French Lick Hotel. The history and detail of the building was amazing. The Meet-Up took place in a conference room in the hotel. The decorations and set-up was so beautiful... thank you to Schoolgirl Style. Melanie, from Schoolgirl Style provided the decorations in the conference room. You can see the beautiful flower pom-poms in the pictures below. Melanie also made the coordinating name tags. Below, you will also see the candy on the tables. I think I took this picture before we discovered how great the hard candy was. The flavors were fabulous! I think I ate all of the lemon flavored ones. The round candy was bubble gum. How cute is that? We rode the trolley to West Baden and the West Baden Springs Hotel to view the beautiful light show. The atrium dome was gorgeous. I am always amazed at how beautiful old places are that have been restored. It is also known as the "Eighth Wonder of the World". 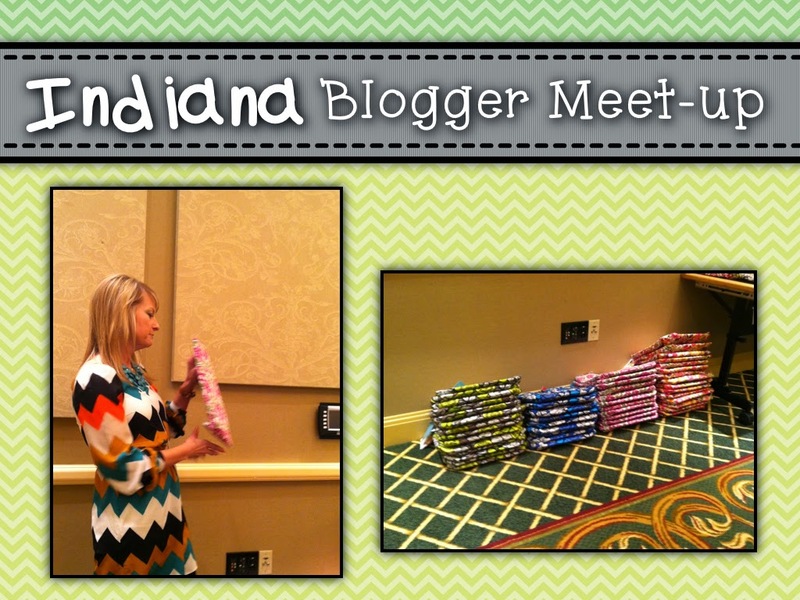 Holly, from Mrs. Ehles Kindergarten Connections, is pictured below showing us the wonderful items that were donated to support the Indiana Spring Teacher Bloggers Meet-Up. There were so many wonderful donors. 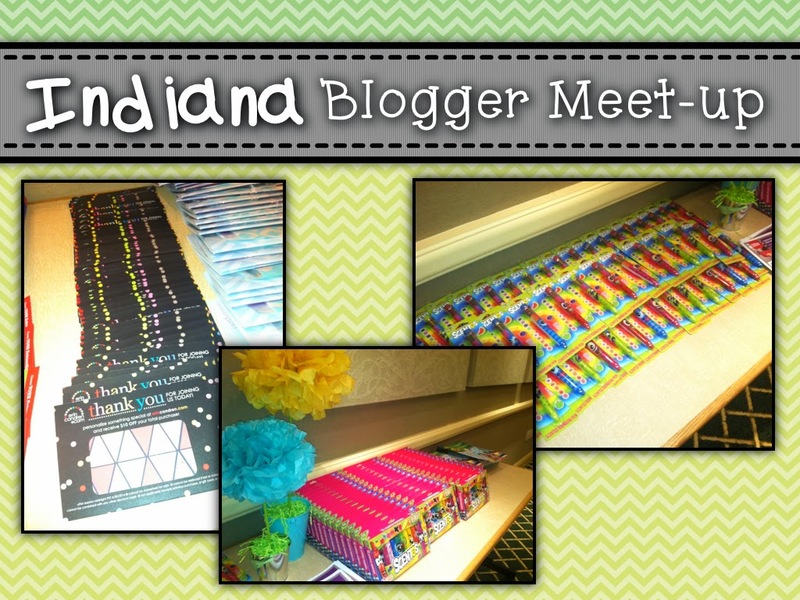 We each got a Vera Bradley bag, a package of Scentos (that are not even out on the market yet), a Scentos pen with changing colors, a $10 gift card from Erin Condren, and so much more! Below are just a few pictures of the items. 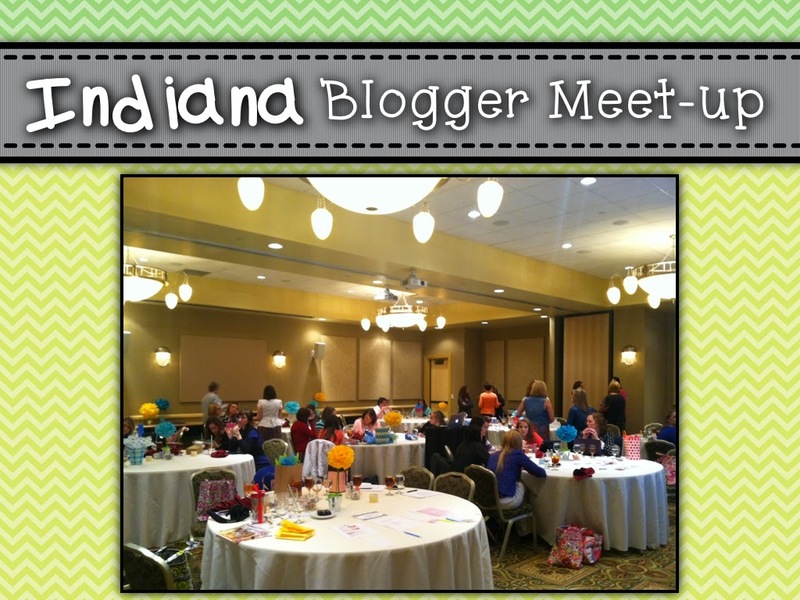 I enjoyed meeting all the teachers and bloggers from Indiana. 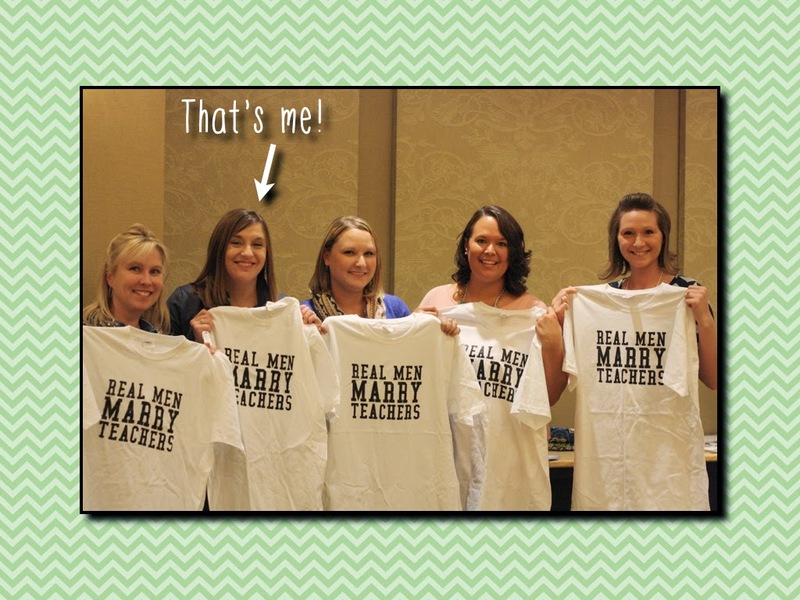 There were even a few teacher bloggers from other states. 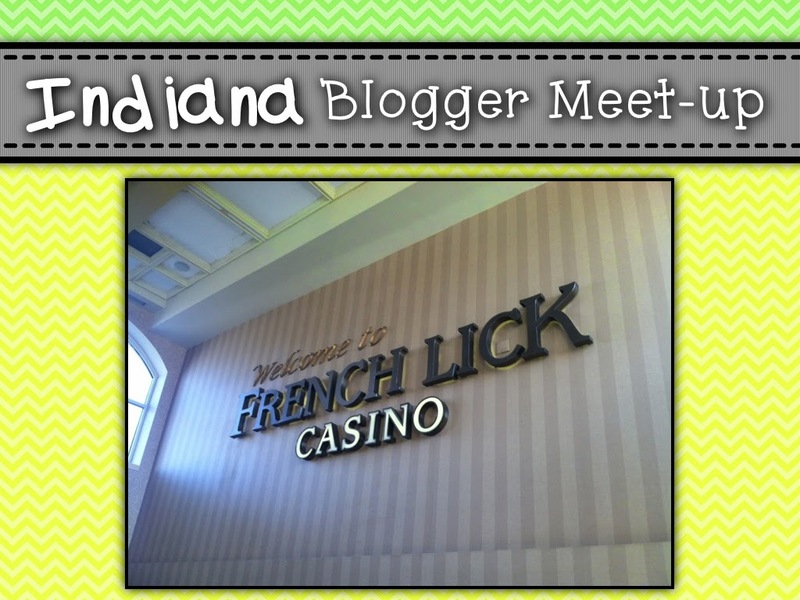 One of my most memorable parts of the trip was visiting the French Lick Casino. Part of the Meet-Up involved a Teacher Tool Swap. I brought a gift and Amanda Pauley from Mrs. Pauley's Kindergarten read aloud a story. Each time she said the word "left", we passed our gift to the left. Each time she said the word "right", we passed our gift to the right. At the end of the story, whichever gift was in your hands, was the "Teacher Tool" that you got to take home. The gift I got to take home was so cool! It was from Jenny from Luckeyfrog's Lilypad. 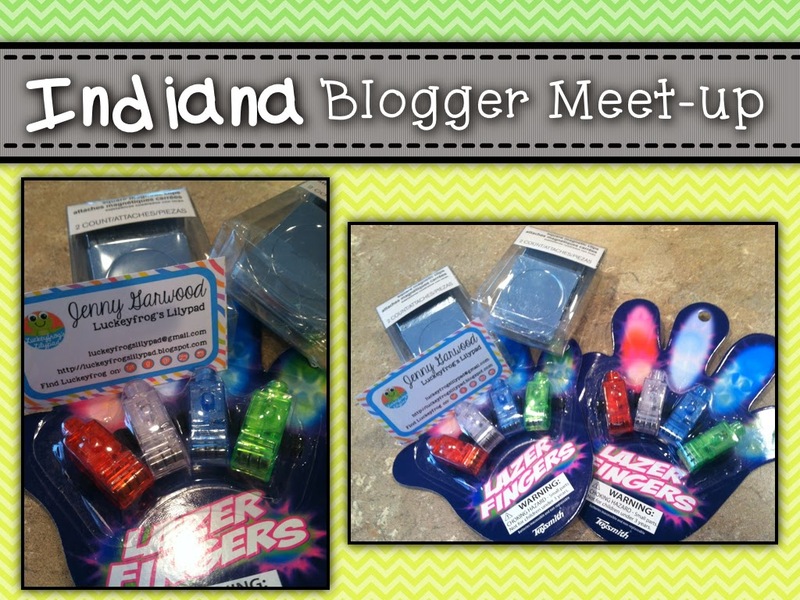 They were really cool finger lights and some must-needed heavy duty magnets. I have already put the finger lights to use. 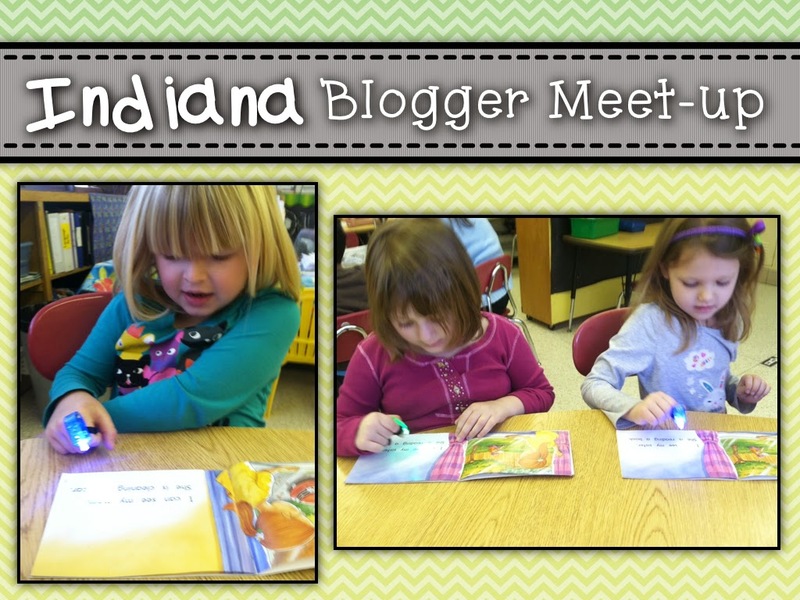 Look at the pictures below of my students reading (one-to-one matching) with the lights. My kindergarten students love them! The magnets were opened right away and used to hang up a pocket chart at one of my literacy stations. Thank you, Jenny! Finally, it was "door prize" time. 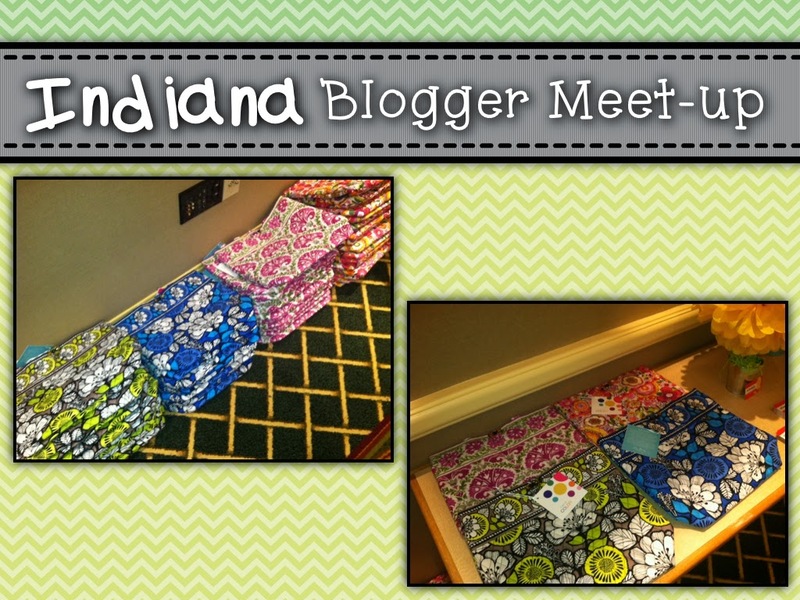 There were so many neat things that were given away, including an SDE conference session in Las Vegas! Several of us, including myself won the t-shirt below from Schoolgirl Style. 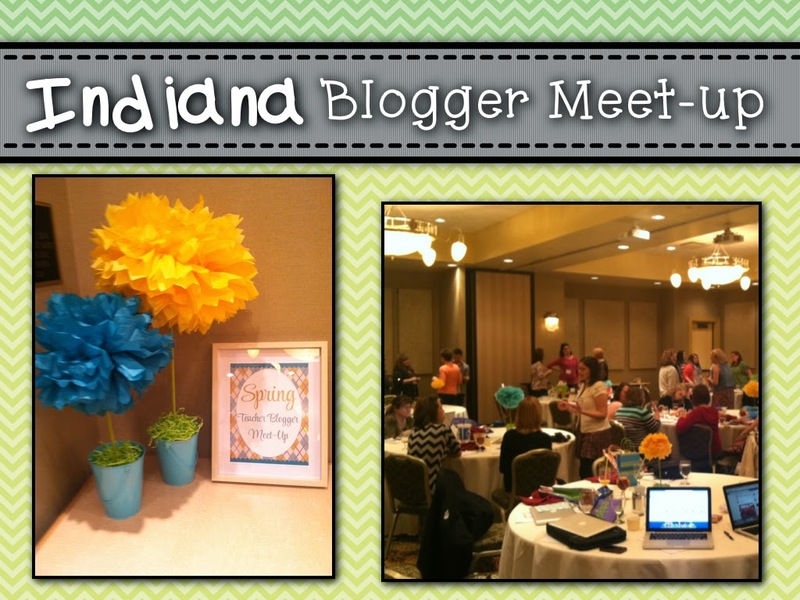 I learned so much from the Indiana Spring Teacher Blogger Meet-Up. Below are some ideas that I took from the meet-up. 1.) Blog even if you feel that every teacher already knows whatever topic it is you are posting about. Even if one teacher gets an idea from a blog post, you reached someone. 2.) Name your pictures in your blog post. For example, change the name from "IMG" to the name of the picture. This way it can show up on a Google search or be pinned with the correct name. 3.) Don't break Collaboration Pinterest Board "rules". 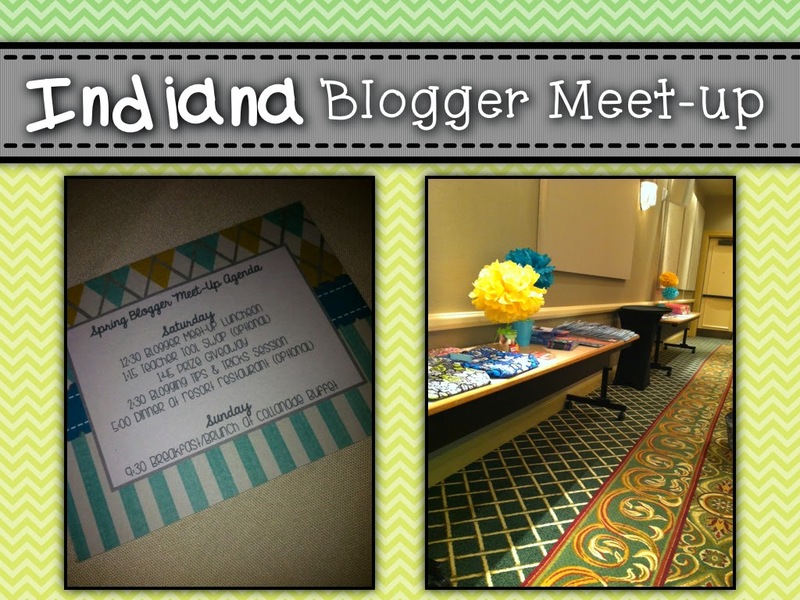 It is so much better to pin from a blog post rather than direct products from TpT. 4.) Invest in a good camera. Pictures from cell phones are not as clear as from an actual camera. 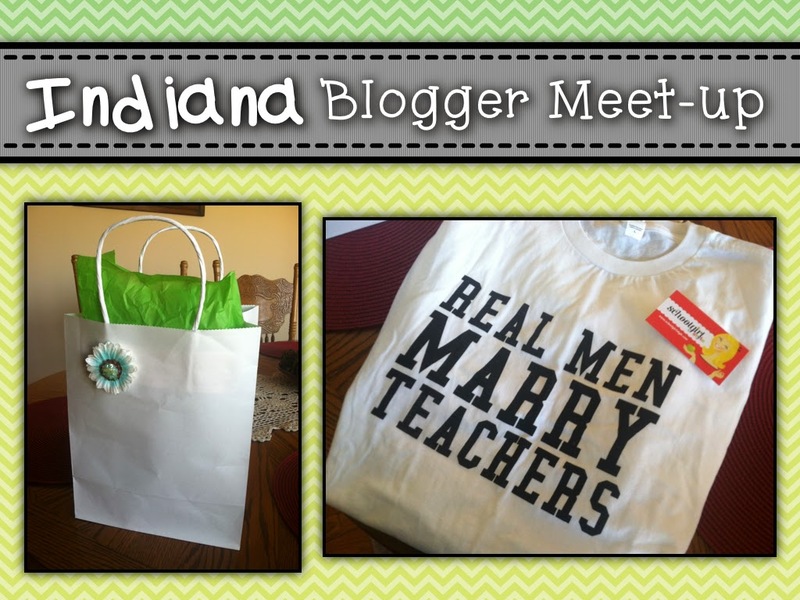 Now, it is time for you to have a chance to win some of the same goodies that were available at our Indiana Spring Teacher Blogger Meet-Up! All you have to do is follow the blog hop to the end. Good luck to all!! Check out these amazing prizes that you could win!! You could win... items from Crayola, Erin Condren, Creative Teaching Press, Vera Bradley, Scentos, Jamberry, Kaeden Books, and much more!! 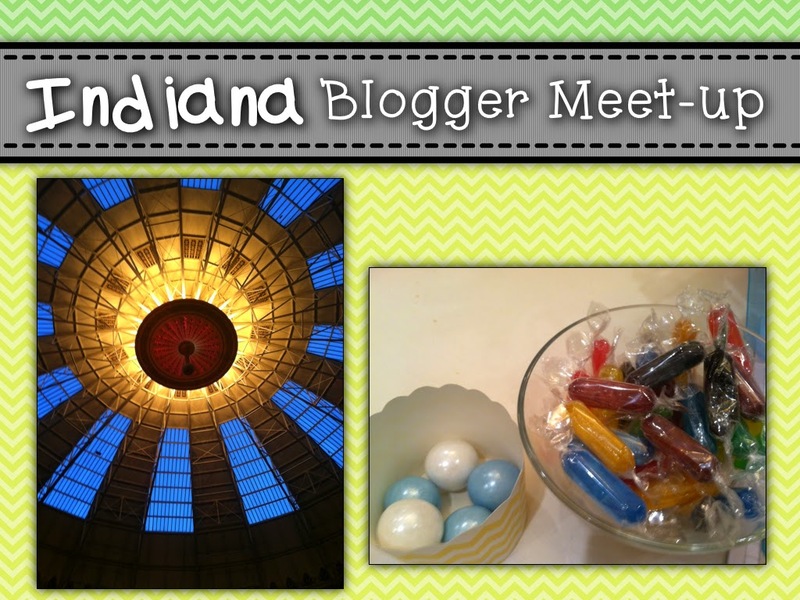 Now, hop on over to visit Dana at Common to the Core for more on the Indiana Blog Hop. While you're there, check out some of her recent posts. She has so many ideas for any classroom. Wow it looks like you guys had an amazing meet-up!! Great post! Glad you had a great time! It was truly an incredible weekend! Thanks for being part of the hop! Love the way you did your pictures. Great seeing you! Those finger lights are so cool! It was so nice meeting you. I use the finger lights in my classroom and call it Reading in the Dark. We turn off the lights and close the blinds. The kids LOVE it. I love your edited pictures with the chevron and ribbon! So cute!! What a great wrap up post! Love it! My kiddos also love those finger lights for reading, too! (They came in especially handy during a recent power outage! -- kept 'em busy & quiet the whole time!). Wow!! Your post looks amazing!! Well done.. Love those lasers! I got them on Amazon a few years ago for just cents a pack! !